Anyway, perhaps my lack of enjoyment for this make was purely down to the fact that it was an act of necessity. Poor old hubby was down to only three tired looking business shirts in various degrees of fray. I usually make his shirts in secret because I love the surprise factor. But what we won’t mention is that on day three of stitching away at this beast, said beneficiary of this shirt comes home from a shopping spree with not one new shirt, but FOUR, and two pairs of pants, AND a new suit. Whilst I must consent to the fact that he was desperately in need of ALL of those items, I also have to admit to being rather out of sorts that night. But let’s get back to basics here. The pattern I used was Kwik sew 3883. 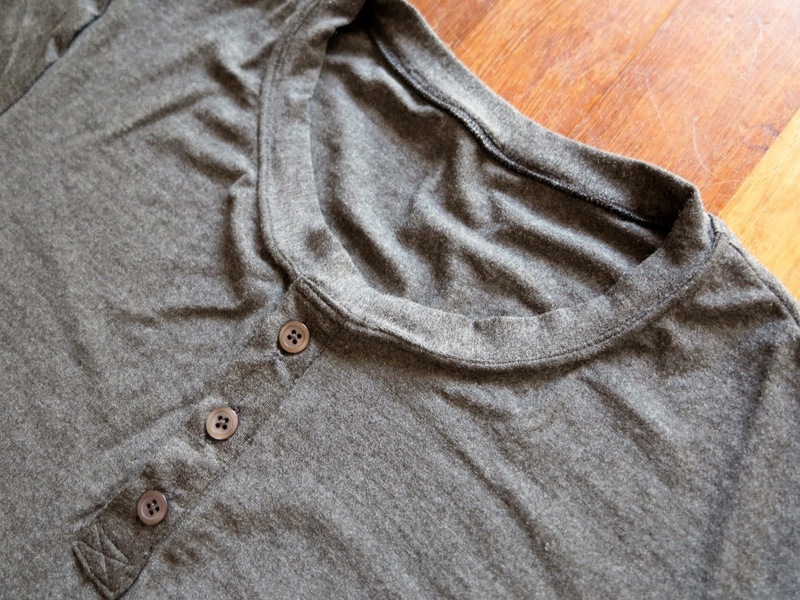 I’ve sewn this shirt before with good results, although I did find the collar a little bit too narrow for my preference the first time round. The fit is also a little roomier than other shirts I’ve sewn for him. 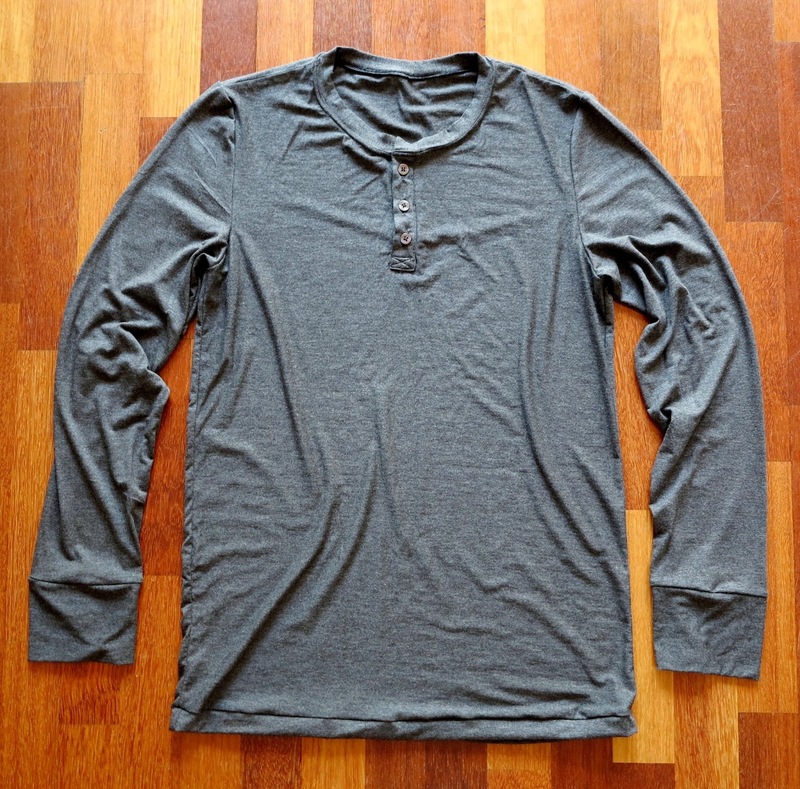 Oddly enough, the last shirt I made in this pattern was hailed as my all time best. Yet this time, dear hubby ‘loves‘ it (as always…and I know he will wear it until the collar frays) but he now finds the armscyes a little low and the front chest area a little large. I tend to agree (and personally thought this was the case the first time round as well). You can see this best when he has his hands on his hips. I wonder if it might be a little worse this time because I mucked up the seam allowance when experimenting with a new way of sewing felled seams. (Those are his new pants by the way). 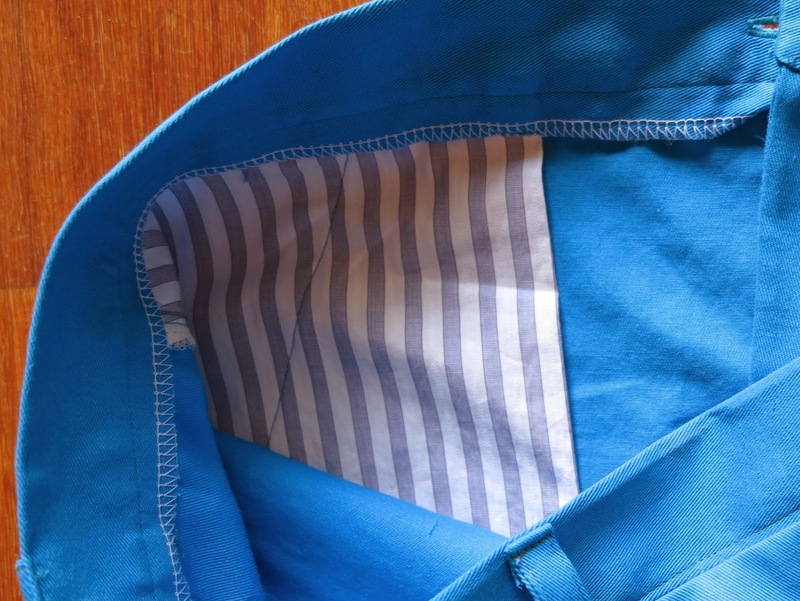 If you follow Male Pattern Boldness, you might be familiar with the fact that Peter has been attending FIT classes on shirtmaking and has been sharing some of the things he’s learnt. I had a go at making the felled seam he described, but I think I may have miscalculated my seams slightly, allowing for a little bit of additional ease. I can see this in the slightly wider shoulders, longer arms, and lower armscye. It is a very clever method though, and my seams ARE much neater so I would still recommend giving this technique a go. I just need a little more practice. 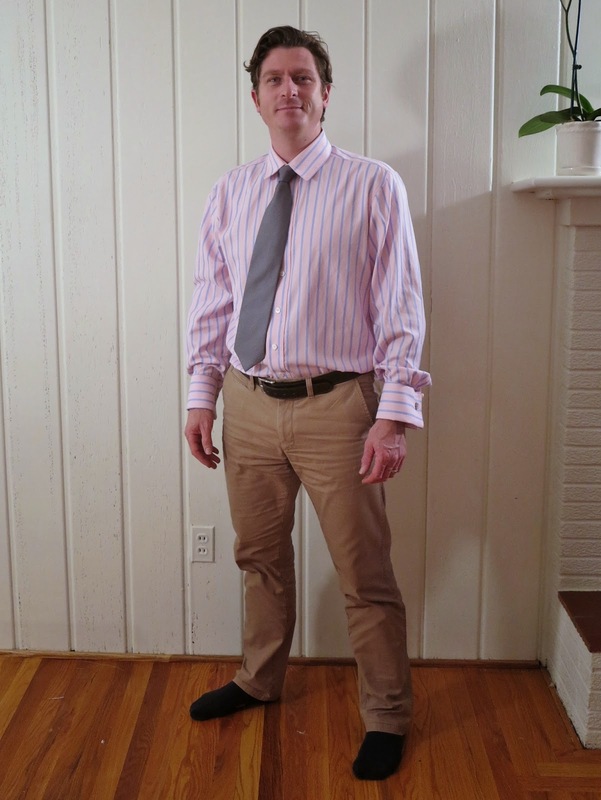 The fabric I used is a gloriously soft (and slightly looser woven) Italian shirting from Mood. Hubby chose it himself. I love the fabric. 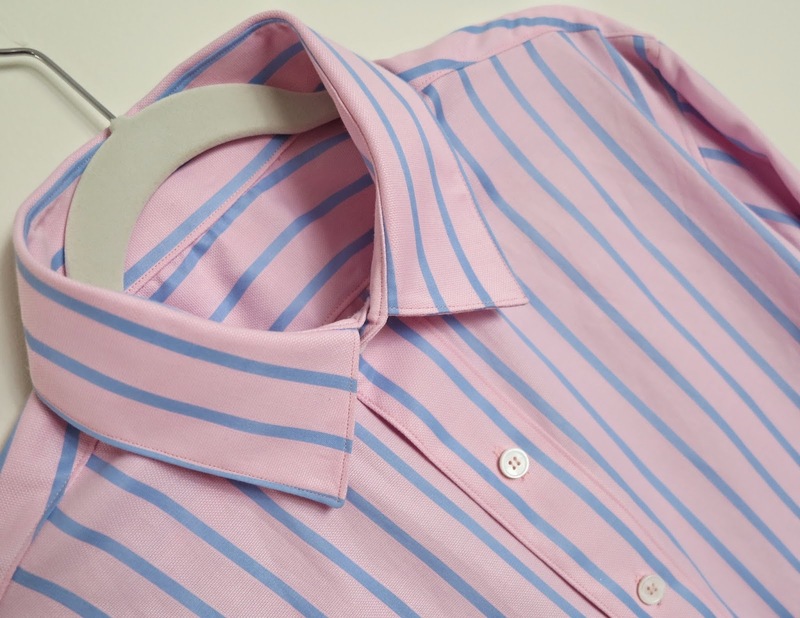 It has a softer hand than other cotton shirtings and will be lovely to wear. It also ravels quite readily and can snag if you aren’t careful. These facts made for a more challenging sew, but mainly, it was the seam allowance in this pattern that did my head in. 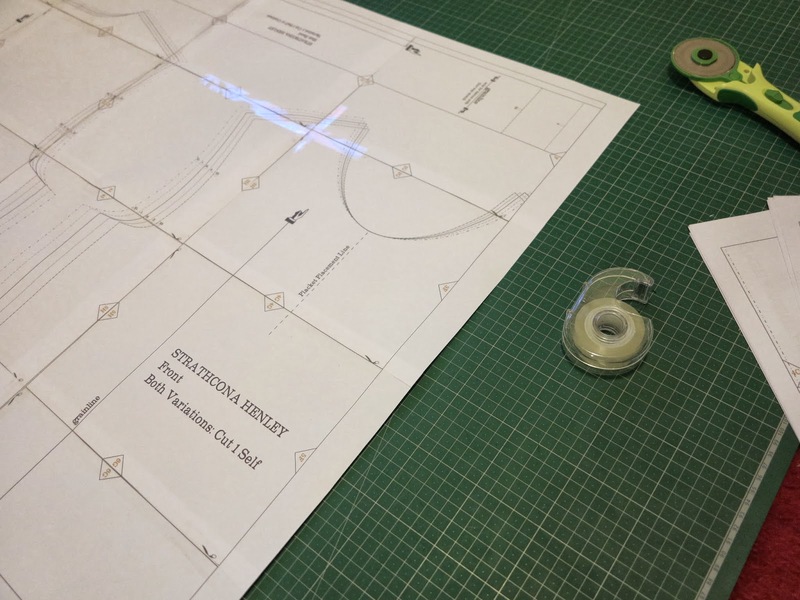 It was a mere 1/4″… allowing no room for error or ravelling, OR experimentation with fancy felled seams. I made a couple of adjustments to this pattern. I did away with the collar and stand pieces and made my own. I made them larger and of a slightly different shape. I also followed the tip I saw recently on Thread magazine on how to obtain lovely sharp collar points. The article is here. 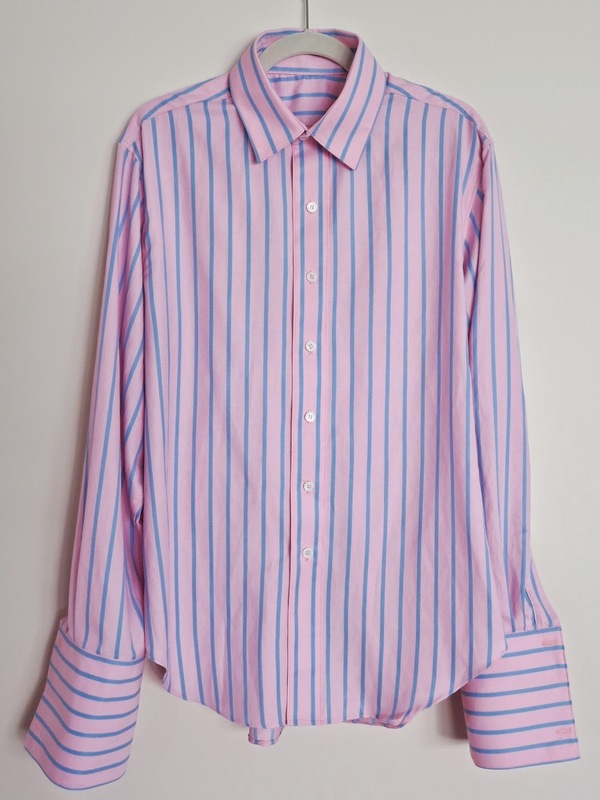 I ditched the cuffs and drew up some French cuffs using a shirt in hubby’s cupboard. 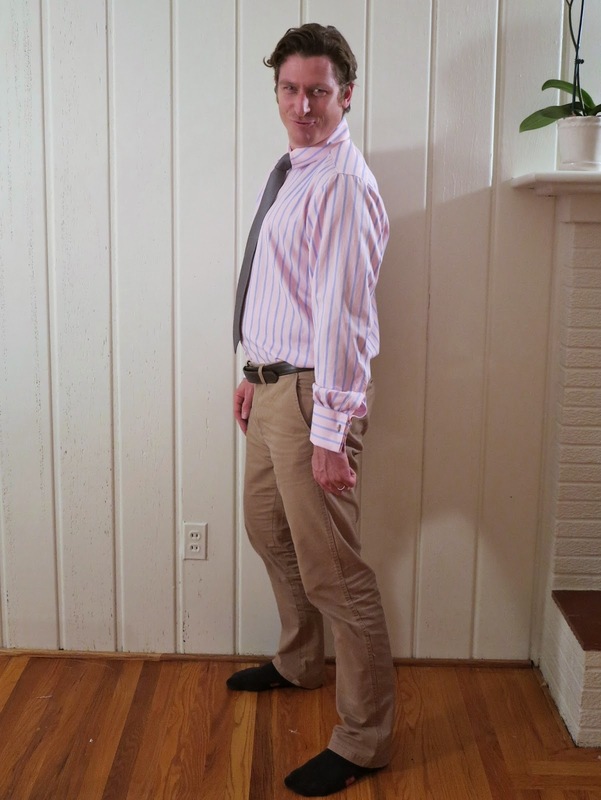 I interfaced the collars and cuffs with Pro-Woven Shirt-crisp fusible from Fashion Sewing Supply. The great thing about this shop is that they sell online and you can purchase a swatch set of all their interfacing. The stuff I chose has been specifically marketed for use in shirt collars and cuffs, even though I’ve been warned that it might be a little too stiff. I’m actually a little undecided about this. I do like the collar but I might still try a different one next time. I also did a bit of analysis on the new shirts that hubby bought home. He confessed one was to the order of $200! I was impressed with how beautifully neat and narrow the felled side seams were, while the armscye seams were a lot wider (something obviously not possible with a 1/4″ seam allowance!). 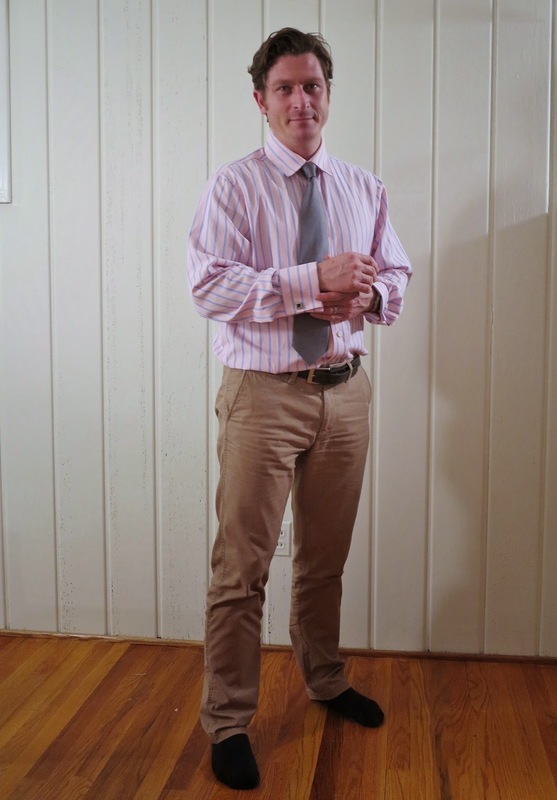 In all four shirts, the collars and cuffs were actually stiffer than mine. This was a big surprise, as mine are actually very stiff with the interfacing I used. But what surprised me most, was that it appeared to be a fusible interfacing that was ONLY used on the outside piece of both collar and cuff. I can see that less bulk to turn would make for those perfectly neat collar and cuff points. But my mind boggles as to how I can obtain an interfacing as stiff as the one they used. Seriously, this stuff was like a sheet of concrete (if that’s even possible!). Overall, I’m reasonably happy with how my shirt turned out, but I know I will have to resolve some fitting issues next time. I really don’t know how I did it, but those aligned stripes down the front placket just make me smile! So do those lovely pearl shell buttons. And finally, he’s going to kill me for including this shot, but just check out the ‘blue steel’ pose! This entry was posted in cotton, Kwik sew 3883, menswear, Mood, shirt, shirting on April 27, 2014 by Debbie Iles. It was so great to see how these shorts actually fit. 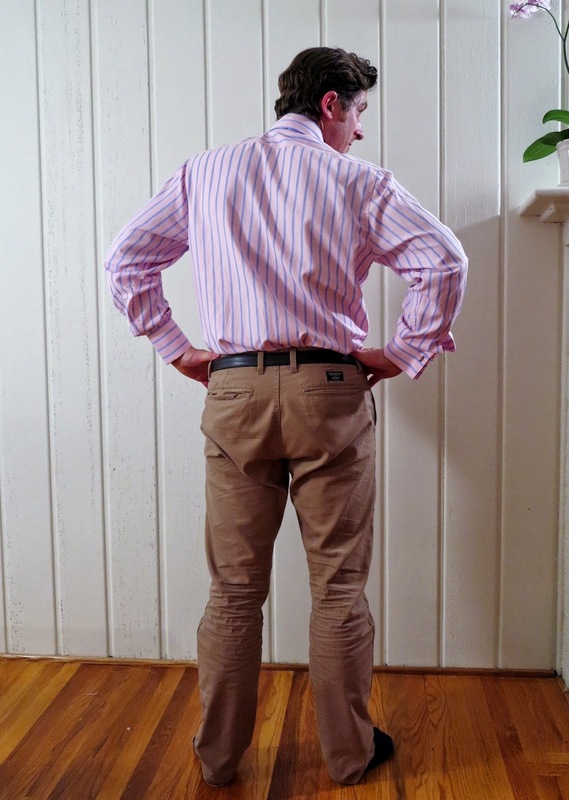 At first they appeared a little too tight on my reluctant model…everywhere! But they did relax over the course of Christmas day. 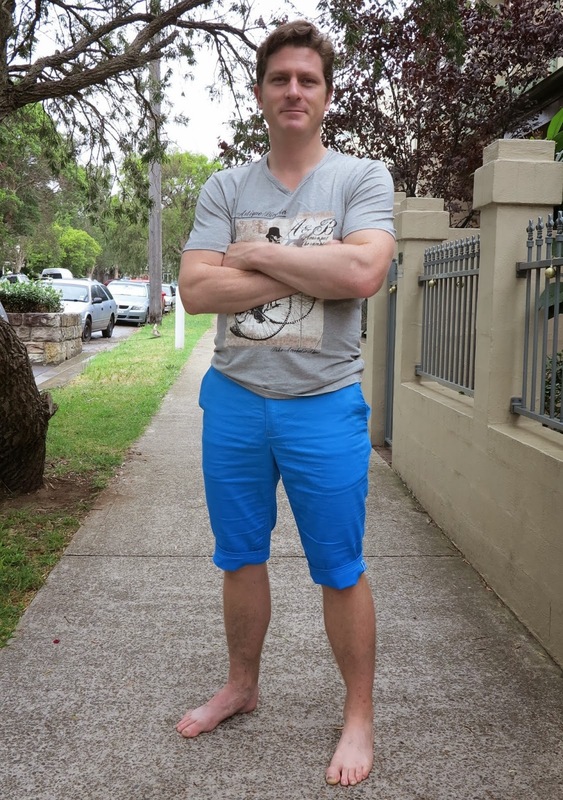 Yes, he did wear them for the entire day, even though the waist is indeed an inch too tight! And that’s what I love about my dear hubby. Next time, I will increase the waistband by an inch. He revealed later, that he had been getting around with the top button undone. I think the rest of the pants fit beautifully. They are a lot ‘slimmer’ fitting than he is used to, but I think they look good. 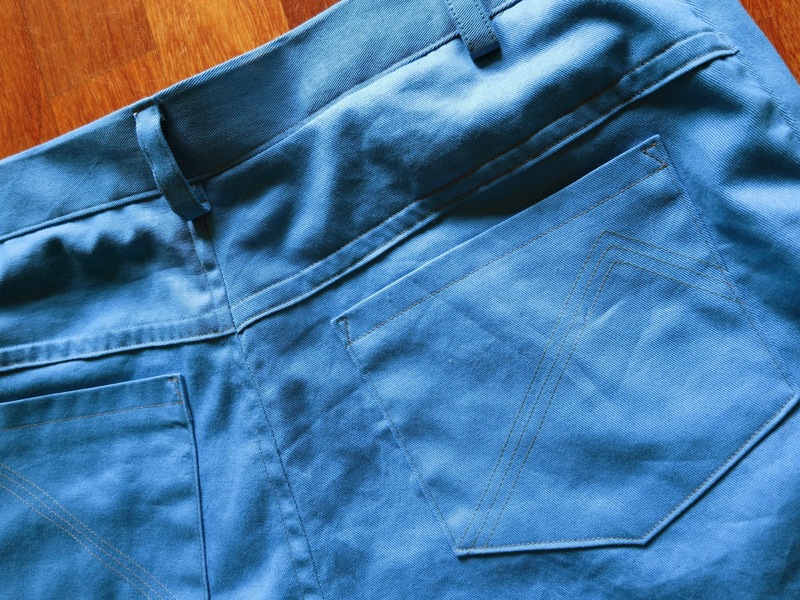 Denim, with maybe 2-3% elastane, would be perfect for my next go at these pants. 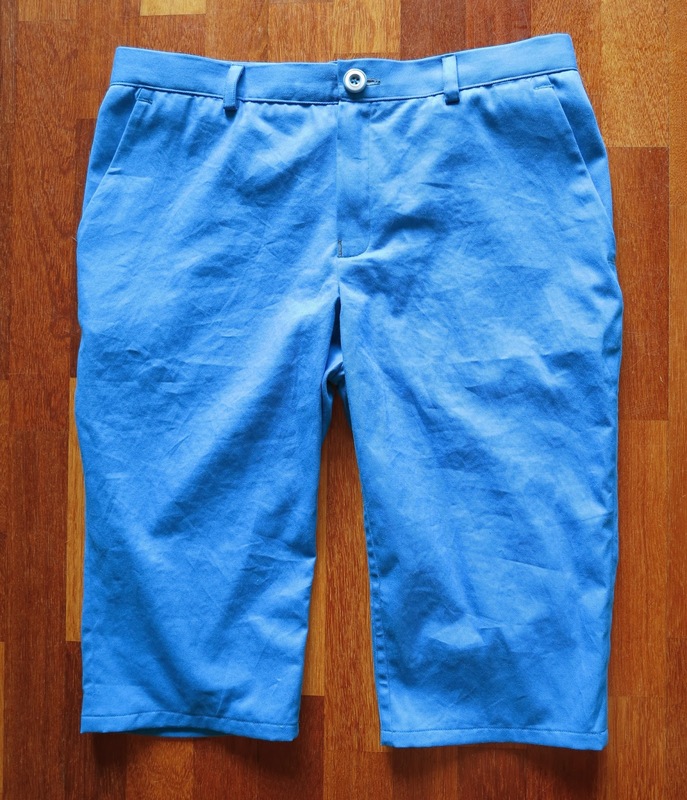 This entry was posted in cotton, Jebediah pants, menswear, shorts, Spotlight on December 28, 2013 by Debbie Iles. I’m always stuck for things to buy my husband for Christmas. It isn’t that he has everything, quite the opposite actually. But everything he would like is well outside my budget, and probably also slightly outside the budget of a B-list rock-star too. 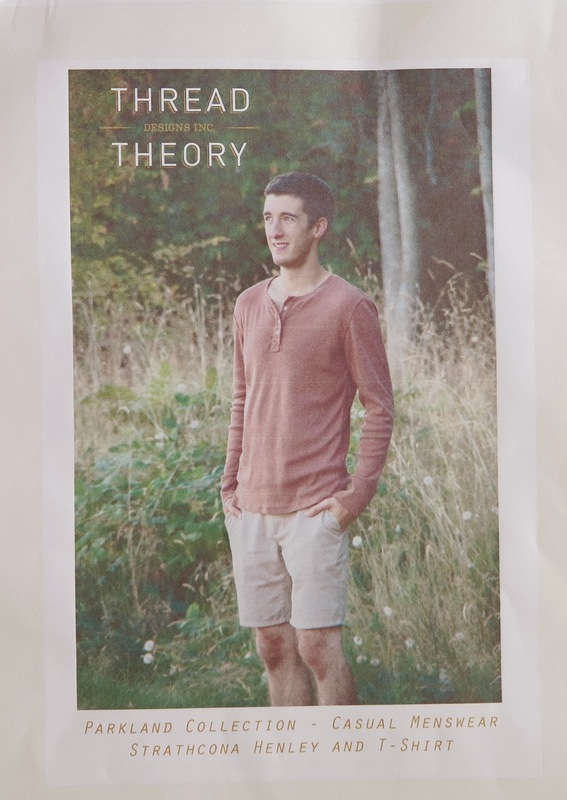 This year I made him some Jebediah pants from Thread Theory, well shorts actually, and really only a wearable muslin since I wanted them to be a surprise. His birthday is still a few days away too, so he still has no idea that I have made him anything (here and here) other than the usual business shirt. I can’t wait to see his surprise and I am desperately hoping that everything fits him reasonably ok. I was inspired to get cracking on these Jebediah pants after reading Sallieoh’s recent post. 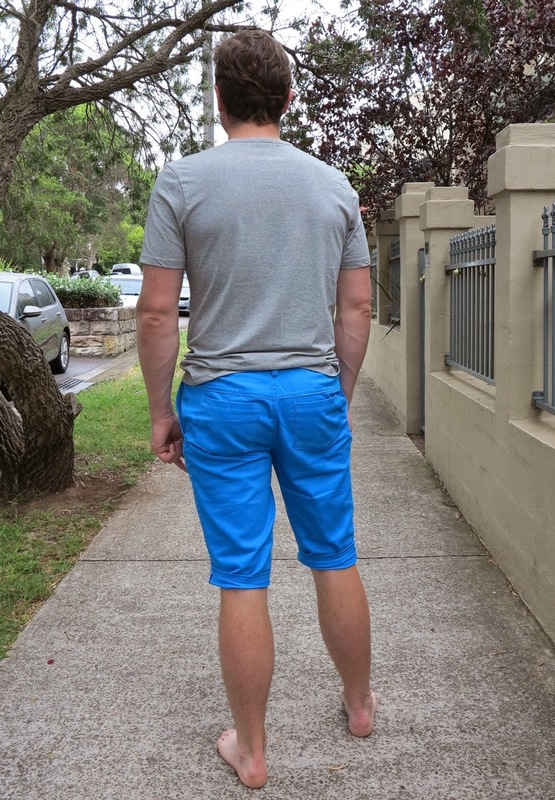 I’d been looking at those pants for a few months but I wasn’t sure what the skinny fit would be like for my slightly larger hubby. It was great to see the pants on Sallie’s Nick. I have a Nick too and he isn’t too dissimilar in build (maybe one day I will get my Nick in front of the camera!). Since I didn’t want to ruin the surprise by measuring hubby, I wasn’t going to waste any good fabric on these pants in case the fit ended up being horrendous. I purchased some cheap cotton drill from Spotlight, $16 worth in fact, bargain (although from the photos you can see how it wrinkles like crazy)! I also figured it was a good opportunity to push him outside his comfort zone and add a splash of colour to his wardrobe. Just check out that gorgeous blue! And of course the least-feminine button I could find in my stash was a vintage button from All Buttons and probably not really meant for a pair of men’s trouser shorts. 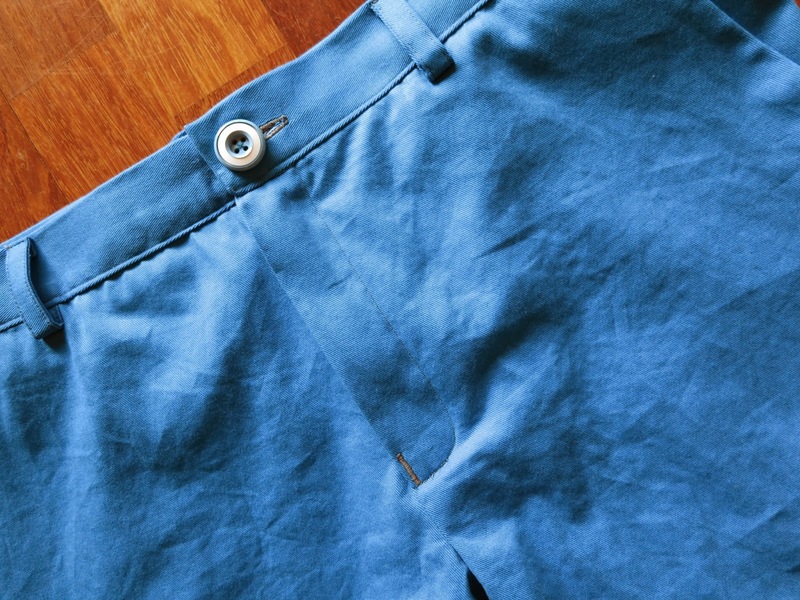 I love the back pocket stitching detail on these shorts and for a little something special, I used some leftover Italian shirting for the pocket lining. Next time I make these pants, I will bind the inside seams and perhaps even use some decorative studs on the outside seams for extra detailing and strength. 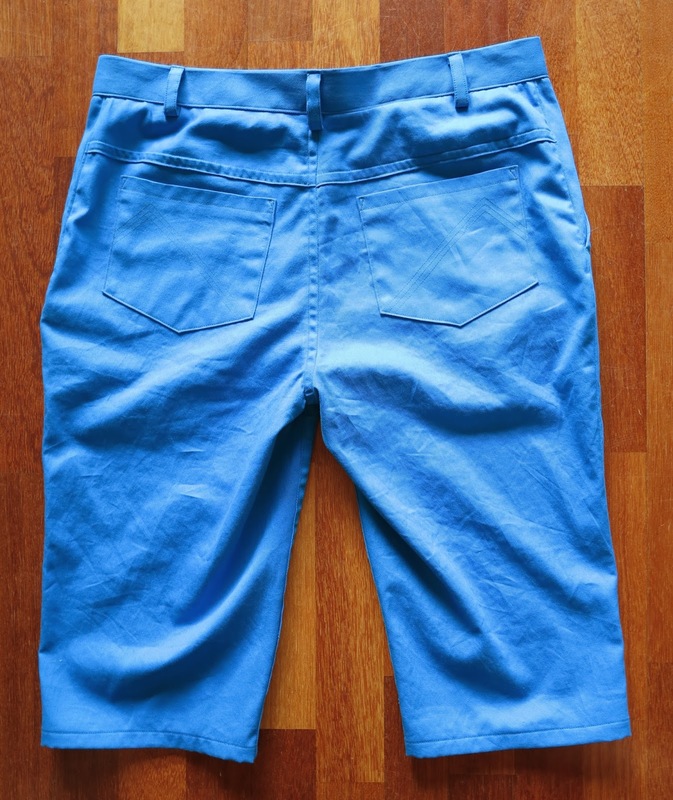 I love patterns that teach me something and I learnt a great deal from these Jebediah pants. The pocket construction was new to me, but I am so proud that I finally mastered it. The instructions weren’t terribly clear, but after a bit of unpicking and rearranging of the facings, I finally figured out what I was supposed to do. I was completely bamboozled by this same technique a few weeks ago when I was trying to sew some different pants so it was especially wonderful to get that lightbulb moment. It was also the first time I’ve inserted a fly front zipper. I was prepared to make a big mess of it and I had the Grainline tutorial on hand to help me through just in case (thanks Sallie!) but I ended up making it through fine, although I did have to read it twice and unpick once. Well, this Christmas elf is clocking off now, having finally finished the last of her 2013 presents. It’s time for me to put my feet up and hand over the reigns to Santa! There should be a stack of photos coming your way in the aftermath of the 25th! 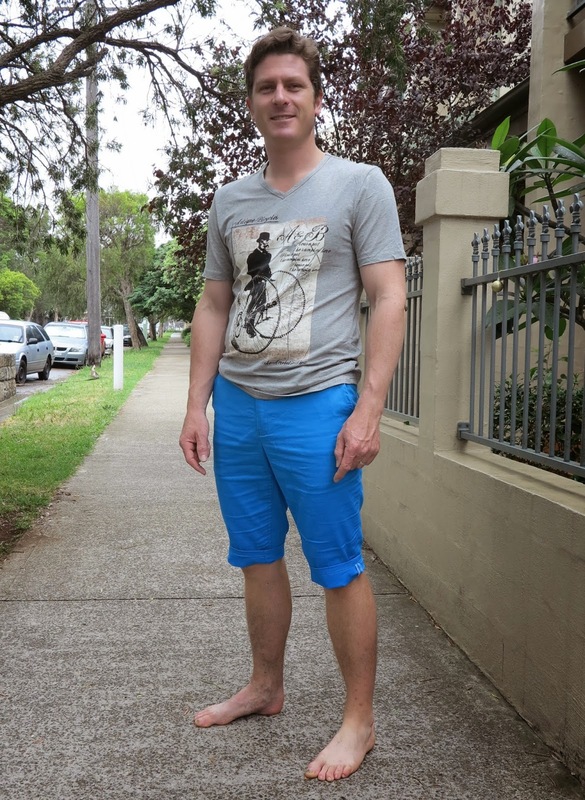 This entry was posted in cotton, Jebediah pants, menswear, pants, Spotlight on December 8, 2013 by Debbie Iles.